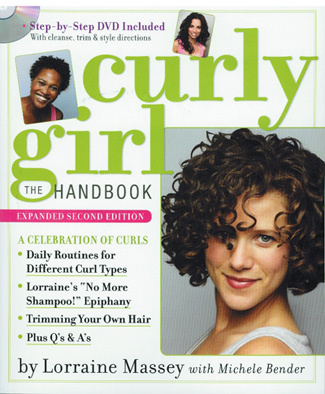 The Curly Girl Handbook is here! Created by Lorraine Massey the go-to curl expert featured in Allure, InStyle, Lucky, Seventeen, and The New York Times; owner of the Devachan salons in New York; and creator of the all-natural Devachan products. Curly Girl is packed with unique hair-care methods, inspiration, and an empowering pro-curl attitude. It's all here: the care, the styling, the cuts, the dos, the tips, the products, the remedies, and curly girl confessions. Plus, she has also includeed a special DVD with tutorials on caring for four different types of curls. From now on, there is no such thing as a bad hair day. Hooray! Come shop @ Wink and get them before their gone!